Zoe Kazan plays Ivy, a basic girl next door type who is home for spring break. Al (Mark Rendall), a childhood friend, asks to stay with her and her mom as he has nowhere else to go. Their relationship is like any other boy-girl “friends” situation. It can be awkward and strange at times, and there are moments when you think there could be something more going on. This is pretty much the entire story in a nutshell. Zoe is above all “real and honest” in her portrayal of Ivy, who also suffers from epilepsy. She has a boyfriend back at school (Greg), but when he is involved in a car accident with an old girlfriend as a passenger, their relationship is the next victim. This is one of “those” movies that are heavy on feeling and atmosphere. Its structure is plotless and meandering, but you really can’t seem to pull your eyes away from the screen as these characters really start to grow on you. There is no music or score to the film and many of the scenes are filmed at a distance, letting the characters interact with there real environments. The authentic feel of this film really puts it at a different level than most films. Nothing feels forced or made up to serve a greater good, things happen and the characters react. The people at Oscilloscope have put out a DVD package that is available, but I would first recommend seeing it on Netflix watch instantly. 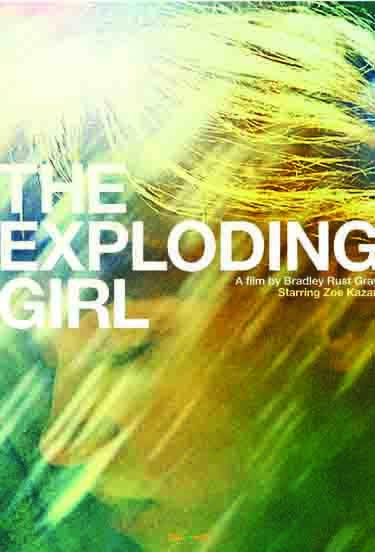 Like I said at the beginning this movie is really aimed at a very specific audience but if you’re ready to disconnect from a summer full of CGI Robots, Aliens, and big budget garbage, give the Exploding Girl a try and thank me in the morning.